The most comprehensive atlas of reptilian species has been created by an international research team led by an Israeli scientist. 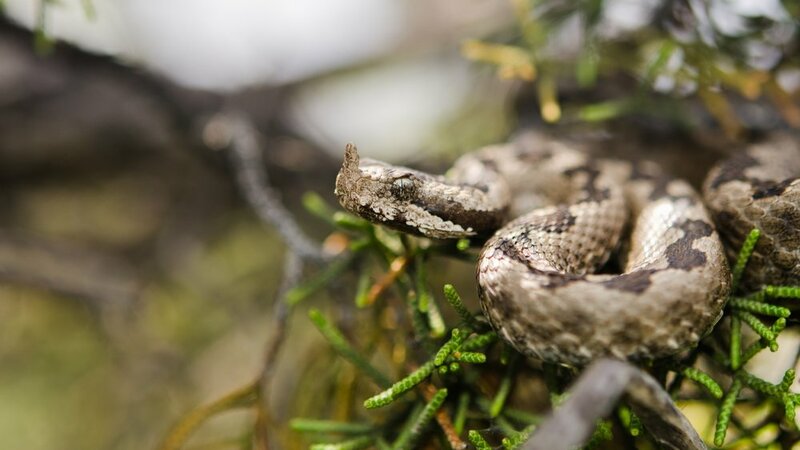 An international project initiated by an Israeli professor has resulted in the most comprehensive catalog and atlas of every reptile on Earth, including 10,000 species of snakes, lizards, and tortoises and nearly 32,000 land vertebrate species altogether. An international team of 39 researchers worked on the new “Atlas of Life,” as described in Nature Ecology & Evolution. The atlas links the new reptile information with existing maps for birds, mammals and amphibians. The resulting information provides a missing piece to the puzzle of global conservation planning and prioritization. 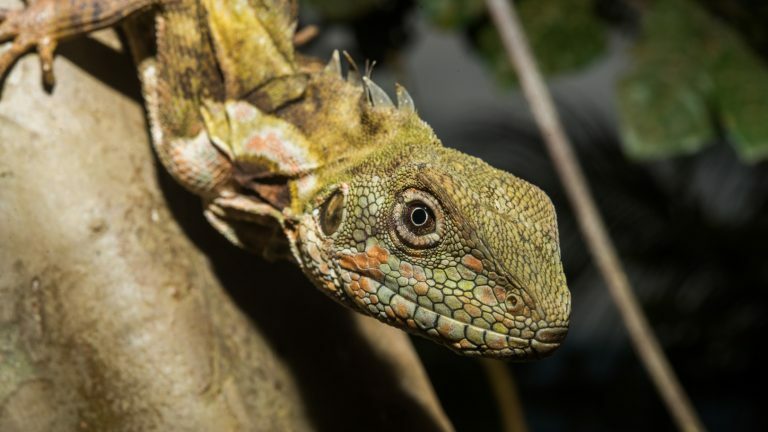 “Mapping the distributions of all reptiles was considered too difficult to tackle. 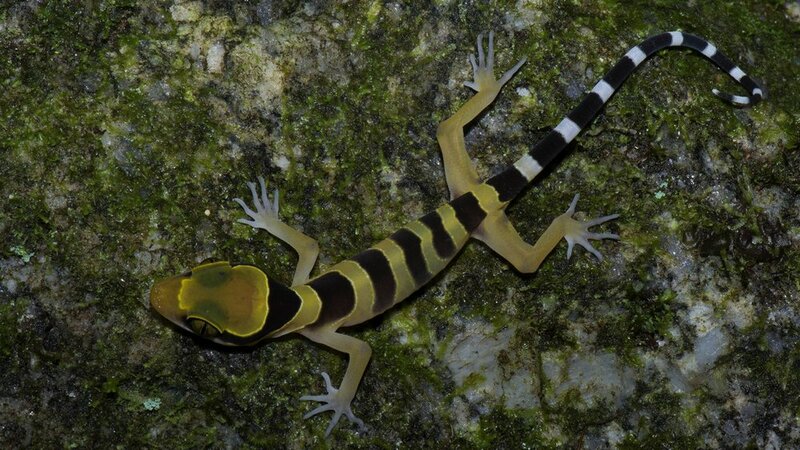 But thanks to a team of experts on the lizards and snakes of some of the most poorly known regions of the world, we managed to achieve this, and hopefully contribute to the conservation of these often elusive vertebrates that suffer from persecution and prejudice,” said Prof. Shai Meiri, the Tel Aviv University zoologist who first planned and has been leading the project for the past 10 years. Tel Aviv University, Ben-Gurion University of the Negev and the Technion-Israel Institute of Technology all had representatives on the research project. To address these deficiencies, the researchers constructed a new prioritization plan. “We discovered that arid and semi-arid regions in various parts of the world have been under-prioritized for conservation and we will need to reevaluate our broadest conservation initiatives,” said Roll. Singaporean philanthropy enables Israeli food-rescue organization to buy a field for raising staple crops to give to the needy all year around. Shalom Israel Asia Pacific (SIAP), a Christian pro-Israel organization based in Singapore, recently gave a donation to food-rescue organization Leket Israel to purchase a field where vegetables will be grown solely for the needy. The 10-acre field in Binyamina, near Haifa, is one of the only fields in Israel where produce is grown specifically for charitable purposes. It’s the only one that will include a greenhouse to grow staple vegetables such as tomatoes, cucumbers and peppers for distribution all year long. “What makes the Binyamina initiative so unique is our ability to grow the most sought-after vegetables among Israeli society and to supply them to our 195 nonprofit partner agencies throughout the country. We are truly grateful for the substantial donation that made this dream become a reality,” said Joseph Gitler, Leket Israel’s founder and chairman. “Thanks to Leket, there are thousands who go to bed at night with a full stomach, and that is why we were motivated to create an entire farm to grow produce exclusively for the poor,” said Pastor George Annadorai, director of SIAP. Leket rescues and distributes 15,000 tons of fruit and vegetables to the needy each year. The vast majority of this bounty is donated by more than 500 farms across Israel. Gitler said the purpose of growing additional crops in Binyamina is to enrich the variety of produce Leket supplies, as well as to guarantee that even when donations might decrease, as before the fall holiday season, Leket will not have to cut back distribution. Crops such as sweet potatoes, corn, onions and beets will be raised in Binyamina. In order to engage the public while also reducing expenditures, Leket recruits volunteers from Israel and abroad to assist in the planting and harvesting. For this newest field, members from agricultural youth movements in the Binyamina area are assisting on the farm as part of their regular activities. As a national food bank, Leket Israel also rescues surplus non-perishable food from manufacturers in addition to fresh perishable food left over on farms, hotels, military bases and catering halls throughout Israel. The rescued food is distributed by partner organizations to approximately 175,000 Israelis living below the poverty line. Leket Israel also offers nutritional education workshops and consultations through its partners. 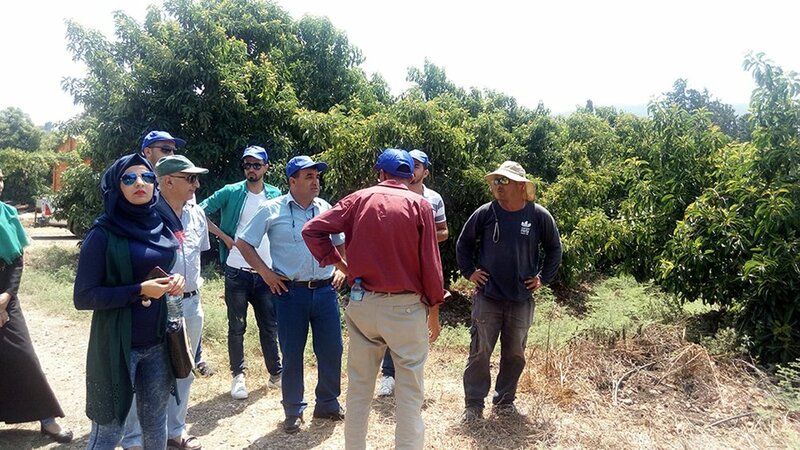 Students in the GIMI course for Palestinian avocado growers touring the fields. Galilee International Management Institute enables Palestinian farmers to join Israeli growers in meeting high avocado demand in Europe. Cooperation is thriving at the Galilee International Management Institute (GIMI) in Nahalal, a city in northern Israel. This past July, GIMI gave a training course to Jordanian, Palestinian and Israeli olive-oil producers, taught farmers from Palestinian Authority territories to grow avocados for export, and began planning a tele-course for Gazan computer engineers meant to lead to remote employment at Israeli companies. Established in 1987, GIMI develops and presents advanced capacity-building courses for professional personnel from all over the world – from more than 170 countries so far — taught in a wide variety of languages. But local and regional needs are never far from GIMI’s radar. The avocado-growing course came out of GIMI’s awareness that the healthful avocado is in great demand in Europe and that Israelis could help Palestinian farmers join them in offering a quality product for this “green gold” market. “We thought we should encourage Palestinians to grow avocados based on the excellent Israeli experience. We know there is a problem of exporting agricultural goods from the West Bank to Europe and we hope to help find a way,” Shevel tells ISRAEL21c. The GIMI course for Palestinian avocado growers was partially funded by the Israeli Foreign Ministry. Israel avocado exports to Europe have grown to roughly 100,000 tons in recent years, comprising about a third of the winter avocado market in EU countries. GIMI organized a training course designed for Palestinian agricultural extension officers who will then share their newfound knowledge with farmers. Funding was provided by the Israeli Ministry of Foreign Affairs and the European Union through the agency of Economic Cooperation Foundation, a Tel Aviv-based nonprofit think tank founded in 1990 to build, maintain and support Israeli-Palestinian and Israeli-Arab cooperation. “We have many alumni in the West Bank so once we announced the program they helped us spread the word, and 28 people registered,” says Shevel. About 40 percent of the registrants were female, and some already grow avocados for export to Arab countries. 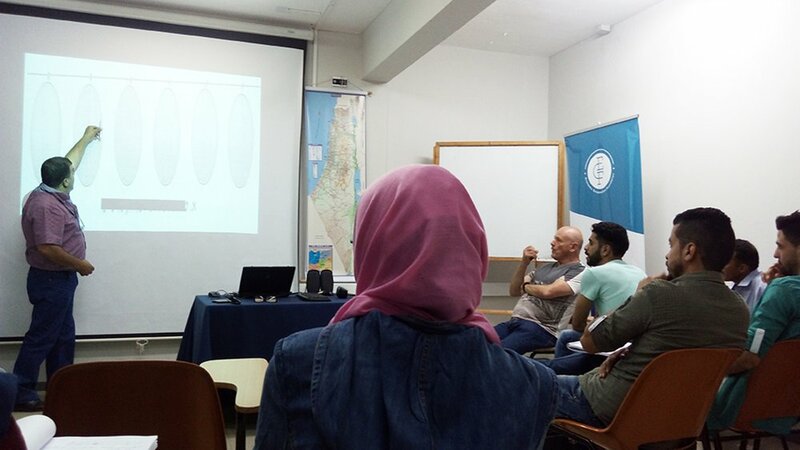 The two-week course began with online classes taught mainly by Arab-Israeli GIMI faculty members and ended with two days of in-person classes and field trips to Israeli avocado farms in the north at the end of July. Unfortunately, politics got in the way of 20 of the participants making their way to Israel for the final two days because the Palestinian Authority had halted cooperation with the Israeli government over the issue of security on the Temple Mount. The eight agronomists and agricultural engineers who did manage to make it came from Hebron, Kalkilya, Tibas and Jenin, and “were received very nicely by the Israeli farmers,” Shevel says. Shevel also is looking forward to what he calls a “breakthrough” program intended to ease the unemployment situation in the Gaza strip, which is contiguous with Israel but ruled by Hamas and therefore few people can cross the border in either direction. Scheduled to begin in October after the Jewish high holidays, this course will train Gazan computer engineers online to qualify for jobs in Israel via remote connection. How is GIMI publicizing the course in Gaza? “We have a graduate in Gaza who studied here about 10 years ago and is in close contact with us and wants to coordinate this program for us,” says Shevel. Perhaps surprisingly, he reveals that his efforts to reach out also have been helped by a close personal friend who is the former president of Al Aqsa University in Gaza. What’s the saying from the Bible? “Better a neighbor who is nearby than a brother who is far away.” That’s our situation here. We don’t bring non-Jews here and try to teach them Zionism and the Bible. We teach them about solar energy, science, sports—how to make a step into the near future and the far future as our neighbors. If you want to serve the Negev, help the neighbors. There are Christians, Muslims, and even pagans. We are open for them. They should feel like what they are, where they come from. I don’t want to convert them. That’s not the idea. To be a human being—that’s the main idea. There is an overlook at Nitzana from which you can see the border with Egypt. Tracing the route outward is artist Dani Karavan’s stunning site work known as Way of Peace: a hundred sand-colored columns lined up along two miles of the desert. Each column is carved with the word peace in a different language. Near the Egyptian border is the educational “eco-village” of Nitzana. Founded in 1986 by the late Arie “Lova” Eliav—a longtime member of Israel’s Knesset and recipient of both the Israel Prize and the Ben-Gurion Prize—Nitzana is an extraordinary center for young people that is all about building environmental awareness, self-confidence, and tolerance for others. The facility is administered by the Jewish Agency and the Ramat Negev Regional Council, and is largely run as a kind of “field school,” with outdoor classes. Among its programs is a service-learning course in leadership skills for recent high-school graduates before they enter their military service. There is the Nitzana Solar Park, which features instructional installations about renewable energy and recycling; thousands of schoolchildren visit here each year. There are weeklong “Negev Seminars” for Israeli kids, and yearlong Hebrew-language classes for foreign students. There is also a boarding school (run in partnership with Israel’s Ministry of Education) for young refugees who have made their way from Eritrea and South Sudan, many of them having experienced horrific trauma—war, famine, torture—before arriving here. Orphans are taught English, math, computer skills: all they need to grow up prepared to take care of themselves in the world. And Nitzana’s Youth Empowerment Center helps young people who have suffered from illness or disease or trauma to cope with their problems so that they can get back to normal life. Nitzana is located near the ruins of an ancient Nabataean site—a trading-post settlement on the old route between Eilat and Gaza. The school’s archaeological museum houses fascinating artifacts found in the area. Nitzana is an extraordinary center for young people that is all about building environmental awareness, self-confidence, and tolerance for others.